This was not a book I’d ideally opt for but having said that it has been surprisingly good. A very good first attempt by the Debutant author. Unlike what you would expect, this book is not about an MBA aspirant, it takes a whole new angle which is what makes this book such an entertaining read. 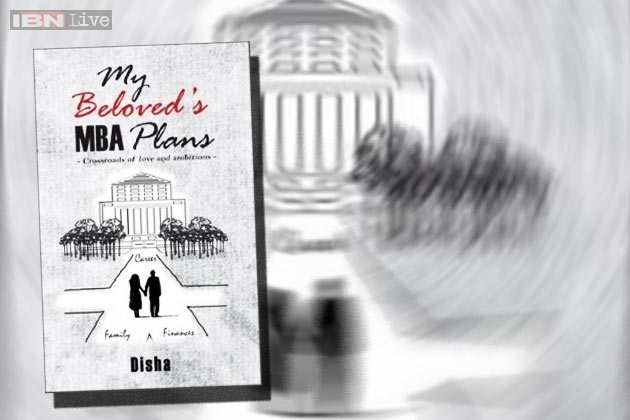 What I liked about Disha’s book that it adopts an interview style narrative to give a perspective into the lives of IIM students who decide to take up studying post-marriage. Disha’s stories are about the problems and challenges that most students face when they go back to books post marriage. What I absolutely liked is that the book also focused on the sacrifices that their spouses have to make to see them through this critical mid-career decision.Written simply it engages the reader to connect to it almost instantly. This has been a very unique book, I was not interested to read this one but I am glad this came along. I am one of those who believes that there is a time for everything, and post marraige going back to books is an uphill task. So in respect, this book gave me a perspective and cleared a mental block. Like me I am sure it will help all those couples who are about to, or are going through such a phase. What worked for the book was that it featured interviews of real life couples and it is through their experiences that the crux of the book actually came through. This has been a surprising read!